Reports of politicization notwithstanding, the Trump administration is continuing reforms to modernize grants management that started under Obama, two agency officials said Wednesday. The officials on a panel examining a new survey of grants managers portrayed the transition between the two presidential administrations as par for the course, when asked about news stories detailing allegedly aggressive vetting of grants by political appointees at the Interior Department and the Environmental Protection Agency. The two officials discussed results of the survey at a breakfast co-sponsored by REI Systems, the National Grants Management Association and The George Washington University’s Trachtenberg School of Public Policy and Public Administration. Over the past year, the survey found, more in the grants management community have grown worried about funding (uncertainty rose 24 percent) as well as their ability to attract well qualified staff. Concern about staff quality rose 8 percent among the 154 respondents, a third of whom are federal employees. Also significant, analysts said, was the fact that grant-makers and recipients are spending more time on compliance and less on improving performance. 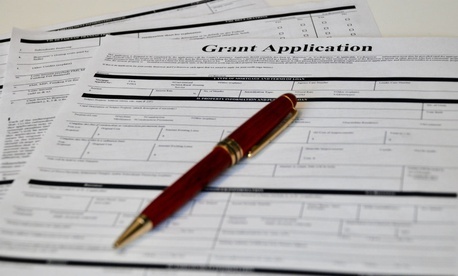 A focus on performance and attempts to rank grants for effectiveness are causing anxiety in the grants community, with some worried that simplistic indicators and lists will dry up grant money. The fact that more are spending time on compliance “is for a good reason, to prevent waste, fraud and abuse,” OMB’s Hubbard said. “We take our jobs very seriously, so it’s not inappropriate to focus on compliance” when spending the taxpayer’s money. OMB tries to “include a lot of flexibilities,” such as waivers and fixed-amount awards, “but the agencies don’t always take advantage of them,” she said. Under the rubric of shared services—the program run by an office in the General Services Administration—there is a governmentwide effort to use data and software to modernize and streamline grants management, said HHS’s Brandon, noting that the government dispenses more than $600 billion in grants annually in 1,800 programs at 26 agencies. “It’s a whole new world we’re living in with new technology,” including artificial intelligence, she said. The hope is to “streamline the reporting process to allow for push and pull of data,” she said, while searching for an “an overarching system.” Innovations at the federal level “can sprinkle down” to state, local and tribal levels, Hubbard added. She stressed that the reluctance to embrace performance data should not stifle innovation or risk taking. Even in the case of failure, she said, data should be shared more broadly so that other grantees can learn best practices. Survey respondents in general expressed a favorable view of federal data requirements in OMB circular A-123 and uniform grant guidance, the 2014 DATA Act and the current House-passed Foundation and Evidence-Based Policy Act. Many said they are looking forward to coming legislation tentatively titled the Grant Reporting Efficiency and Assistance Transparency Act, which is being prepared by Rep. Virginia Foxx, R-N.C., according to REI Systems.